Master the art of Photoshop with this bundle that includes 31 hours of instruction! Adobe Photoshop is the gold standard for photo editing and much more. 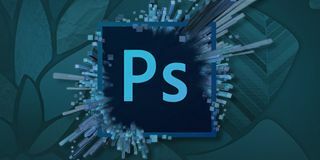 You can make your work stand out by learning to use this powerful program the way the experts do with the Adobe Photoshop and Editing Mastery Bundle. This bundle is typically $41 (approx. £32), except for today. Take advantage of the price drop and score it for just $29 (approx. £23). Like any program, Photoshop can be an intimidating when you first fire it up. This bundle will take away that fear by quickly teaching you the ins and outs of the app so that you can master every aspect of it. You'll get five courses packed with 31 hours of instruction on everything from utilising vectors to colorising photos, and much more. Your photos are sure to look incredible once you finish this bundle! The Adobe Photoshop and Editing Mastery Bundle usually retails for $306. Right now, you can make the most of a 24-hour price drop and get this deal for just $29 (approx. £23). Don't wait, grab this offer today!